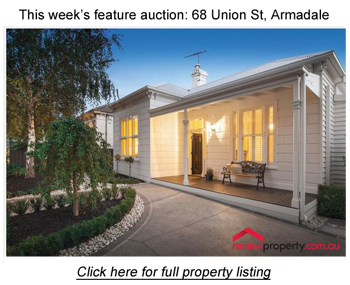 Each week, we’re giving you the opportunity to guess the auction price of a Melbourne property. To enter, simply register below and place your bid . – In the instance that any of the following happen with the ‘What’s Your Bid’ house the prize money will jackpot the next week. These standard contest rules apply to all of the station’s contests. They may be amended or varied from time to time by the station. Special rules may apply to particular contests, in which case an addendum to these rules will be made. Please enquire at the station or check our website for any special rules for contests you wish to enter. This competition is promoted by Radio 3AW Melbourne Pty Ltd (“Promoter”), a member of the Fairfax Radio group of companies. (ii) the spouse, de facto spouse, parent, natural or adopted child, and sibling (whether natural or adopted by a parent), of such employees and contractors (whether or not they live in the same household). (iii) potential entrants who have won a prize/prizes valued either individually or collectively at more than $100 from the Promoter or in any contest run by the Promoter in the prior 30 days. (iv) potential entrants who have used or attempted to use any more than one name in order to qualify to win any contest run by the Promoter except in the case of a legal change of name. (v) potential entrants who have won a prize valued at $1,000 or more from the Promoter or in any contest run by the Promoter in the prior 12 months. (vi) potential entrants who have won a prize valued at $5,000 or more from the Promoter or in any contest run by the Promoter in the prior 24 months. All prize items are valued inclusive of GST and the Promoter takes no responsibility for any variation in item values. Any taxes which may be payable as a consequence of a winner being awarded or receiving the prize are the sole responsibility of that winner. (a) The Promoter and its employees and agents will be fully released from and indemnified by winner in respect of any claim for accident, injury, property damage or loss of life in connection with or as a result of a winner’s acceptance of a prize. (b) If a winner is under the age of 18, their parent/guardian will need to sign the indemnity and consent to winner’s participation in prize. (c) All winners have to call the Radio Station and confirm their personal details (as required by the Radio Station) within 24 hours of their name being announced on air to be eligible to win a prize. On occasion, prizes are provided to the Promoter by a third party under a commercial arrangement (“Third Party”). The winner and the Third Party acknowledge and agree that the provision of the Prize is the sole responsibility of the Third Party, not the Promoter. The winner agrees that the Promoter accepts no responsibility or liability for any delay or failure by the Third Party to deliver the Prize or failure by the Promoter to meet any of its obligations in these conditions of entry or otherwise. The Third Party releases from and indemnifies the Promoter from and against all liability, cost, loss or expense arising out of a claim by a winner (or his or her successors or representatives) in respect of delivery or acceptance of the Prize. Prizes will be posted by Radio 3AW within 30 days of notifying the winner that he or she has won the prize. Any loss of prizes by Australia Post is not the responsibility of the promoter. It is up to the discretion of the promoter to replace the prize. A winner (or his or her guests/parent/guardian as appropriate) may be required to sign and return any liability release provided by the Promoter, the Third Party and/or its contractors as a condition of the prize being awarded. Failure to return the signed releases and indemnities will result in the entitlement to the prize being forfeited and a selection of another winner. If an entrant selected as winner is found to be in breach of paragraphs 3, 4 or 5 of these conditions of entry, a new winner may be selected and, in the event that the entrant in breach has been awarded a prize, the entrant may be required to return the prize or reimburse the value of the prize to the Promoter. Participation in the competition constitutes the entrant’s unconditional agreement to and acceptance of these General Competition Entry Rules. These rules may change from time to time. The Entrant is responsible for insuring his or her familiarity with the General Competition Entry Rules at the time of participation. The Promoter’s decision not to enforce a specific restriction does not constitute a waiver of that restriction or of the General Competition Entry Rules generally.